The Shiseido Perfect Smoothing Foundation is the first powder foundation I've tried from the brand. If you have seen my Bangkok trip photos, I've been consistently wearing this medium coverage powder in shade O40. Texture & Color. This foundation is milled to perfection allowing it to look natural and soft against the skin. O40's a great match. However, this oxidizes on me several hours after but I noticed that with a good primer, the degree of darkening is decreased (but oxidation is still obvious). 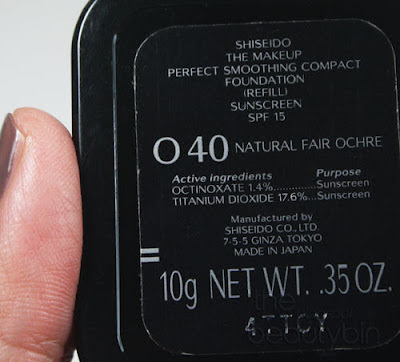 If your skin is notorious for turning foundations a notch darker, I suggest you get hold of the Shiseido Perfect Smoothing Foundation one shade lighter than your perfect match (in my case, it's O20). Good thing it has 13 shades to suit most skin tones. Finish and Feel. I apply this using the sponge that came with it and I end up with a glowy, smooth and evened-out skin. I think that the microglitters on the powder are the ones responsible for the amazing pearlescent finish. On my face, it can feel a little heavy immediately after application, but I start to appreciate how lightweight it can get 30mins after as it melts into my skin. Coverage & Wear. For those with acne scars and pimples like me, this foundation can get help from a good concealer on days you use it for big events. During weddings, I personally choose to use the Perfect Smoothing Foundation over a great primer and concealer. If you plan to use this on top of a liquid foundation, please use something that finishes sheer. Photo taken 5 hours after application. You can tell that it has oxidized on my skin but because I wore a primer, it didn't look that muddy. Sans a makeup primer, you can just imagine how dark O40 goes on me when it oxidizes. On normal days, because this foundation can cover decently, I just use it solo (over primer & moisturizer). It isn't foolproof when used alone, though. 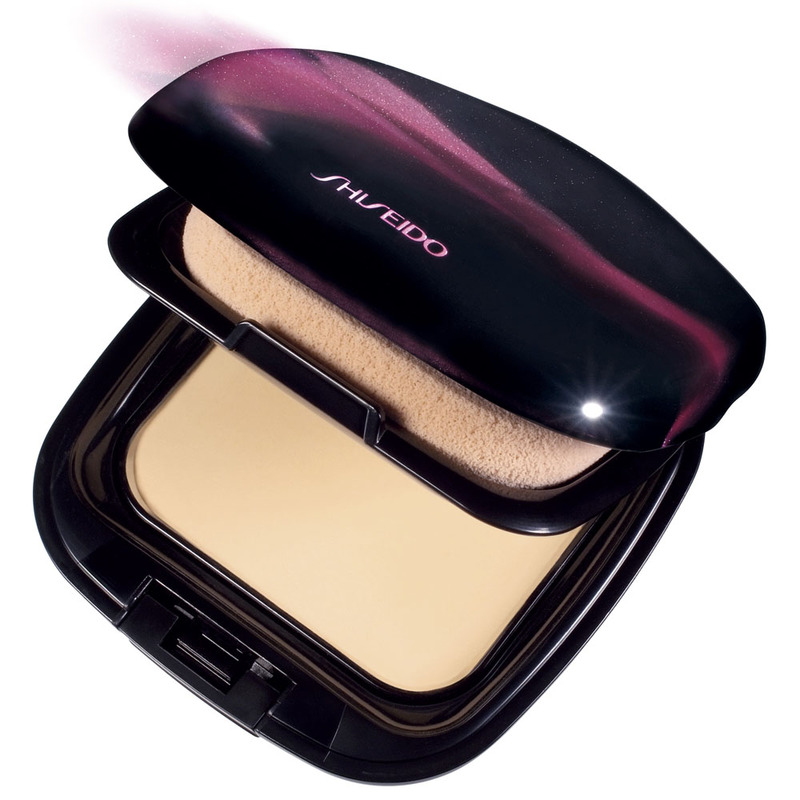 I blot several times a day and see the need for retouching with sheer loose powder somewhere in between long hours. Others. I broke out from this after 5 months of using it. It's weird but if you knew the story about me and Clinique moisturizing gel, you wouldn't be surprised. Also, it wasn't until I broke out from it that I realized it wasn't the best formulation for my skin. The glowy finish can end up looking oily after severaaaal hours. Recommendation. 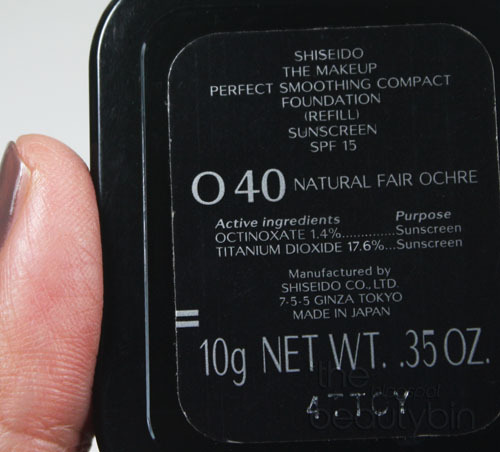 The Shiseido Perfect Smoothing foundation is a jewel to those with normal to dry skin *sighs*. I must add that it photographs well, too, dry skin or not! I recommend the sponge that goes with it and to not dip brushes on the pan to avoid wasting too much of the product. To avoid cakiness, after dabbing & sweeping product using a sponge, you can take out excess powder using a brush and flick it lightly, outwards. 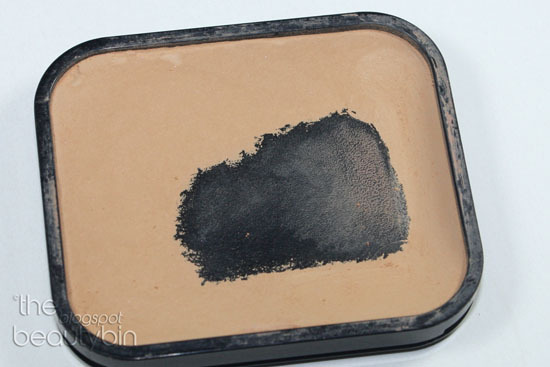 I still hope to use up whatever's left in my Shiseido Perfect Smoothing foundation pan. I fell in love with it despite the strings of disadvantages (oxidation, poor oil control, not longwearing) because my skin looks a million times better underneath it without looking too made up. However, since we're already talking about zits here, I must restrain myself from even thinking about the almost used-up pan and just consider this among the products I had a hard time letting go of but had to. I want the stick version of this! 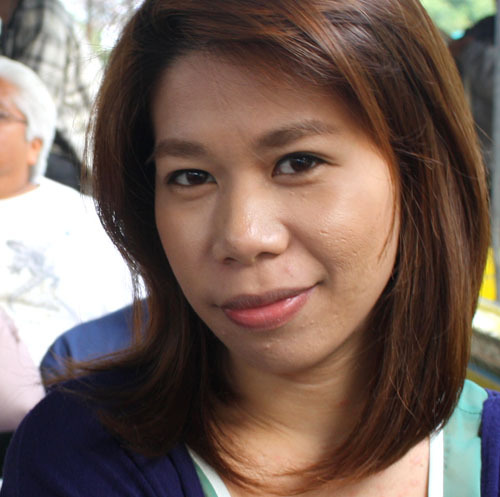 Oh my, ang onti na lang ng Shiseido Sun Stick ko. Will wait for your review of shiseido liquid sun protection foundation.